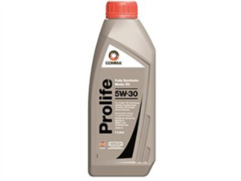 Fully Synthetic - Ultimate Protection - Maximum Performance Fully synthetic high performance 5w-30 specially developed for Audi, VW, Seat & Skoda cars including those on long life service regimes. It provides ultimate protection with exhaust treatment devices such as diesel particlate filters and catalytic converters. Service Classification: ACEA A3 B4 C3 Meets requirements of: VW 504 00/ 507 00 Long Life Service.